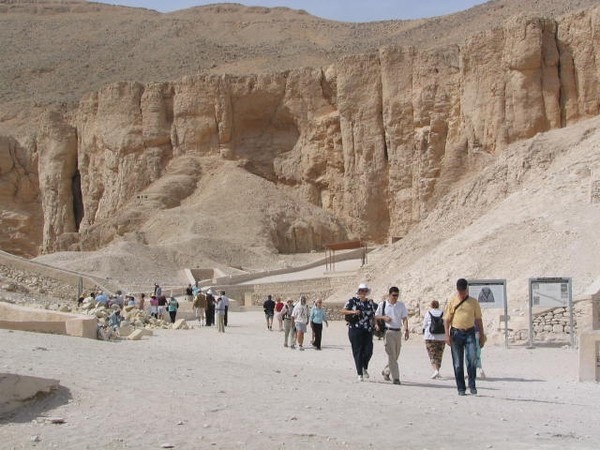 Traveler Reviews for Private Tour in Luxor, Egypt by Tour Guide Nahla E.
Nahla was an absolute joy-very knowledgeable but so easy going, it was like being out with a friend. She was observing Ramadan and not a drop of water passed her lips in over 42C of heat but this did not hamper things in any way. Her patience with our 13 year old son was brilliant & he learnt many things. The tour was excellent value for money, even having to buy our own tickets-similar with Thomson 49 GBPpp, in with loads of other people for only half a day. The personal touch here worth every penny. Nahla was an excellent guide and we throughly enjoyed our deluxe tour of Thebes with her. She and her driver picked us up from our hotel at the agreed time and took us to all the advertised sites as per our booking. Nahla's interpretation of the sites and their history was interesting and easy to follow and she allowed us plenty of time to wander around on our own. She was also able to answer all our questions about Egypt's pharonic history, as well as other questions about the country.